Hello guys! 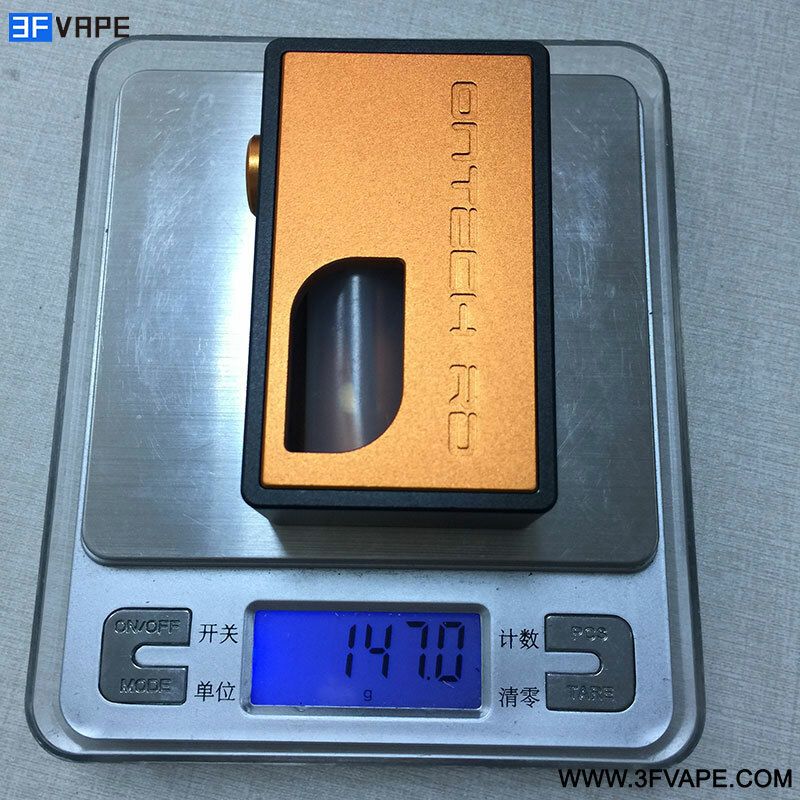 Today we are going to do a brief review on the Icarus Style squonker Mechanical Box Mod. 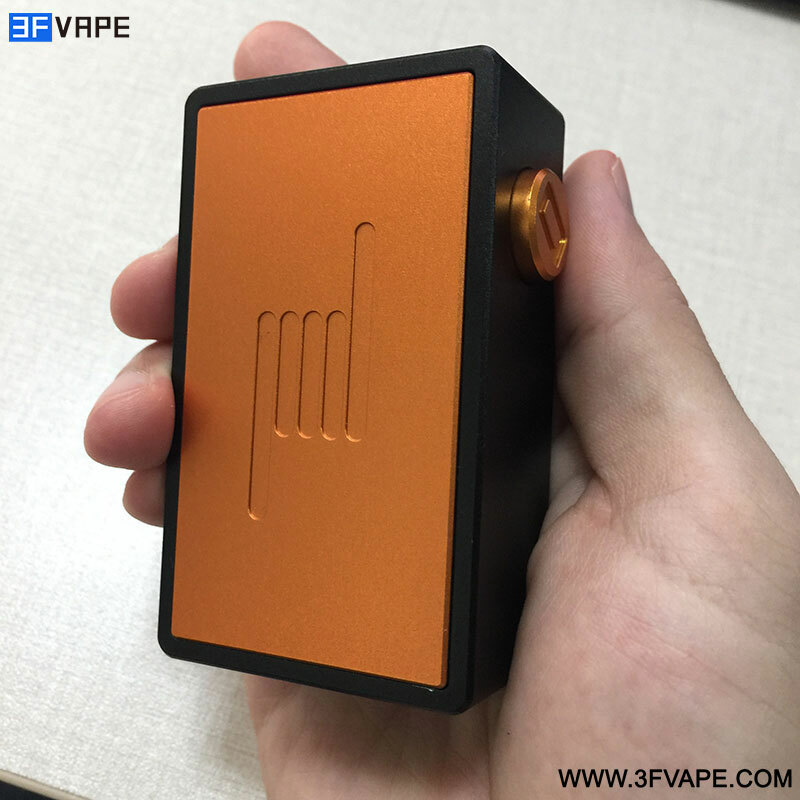 It is a classic squonk mechanical mod with a built-in bottle. 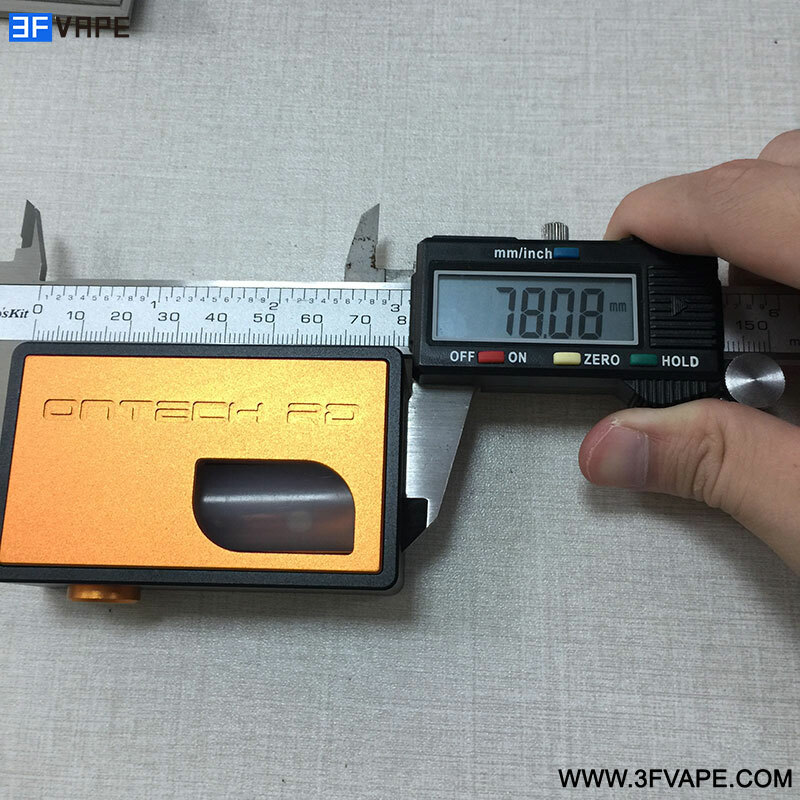 The whole mod was almost made from aluminum and the minor part was made from stainless steel. 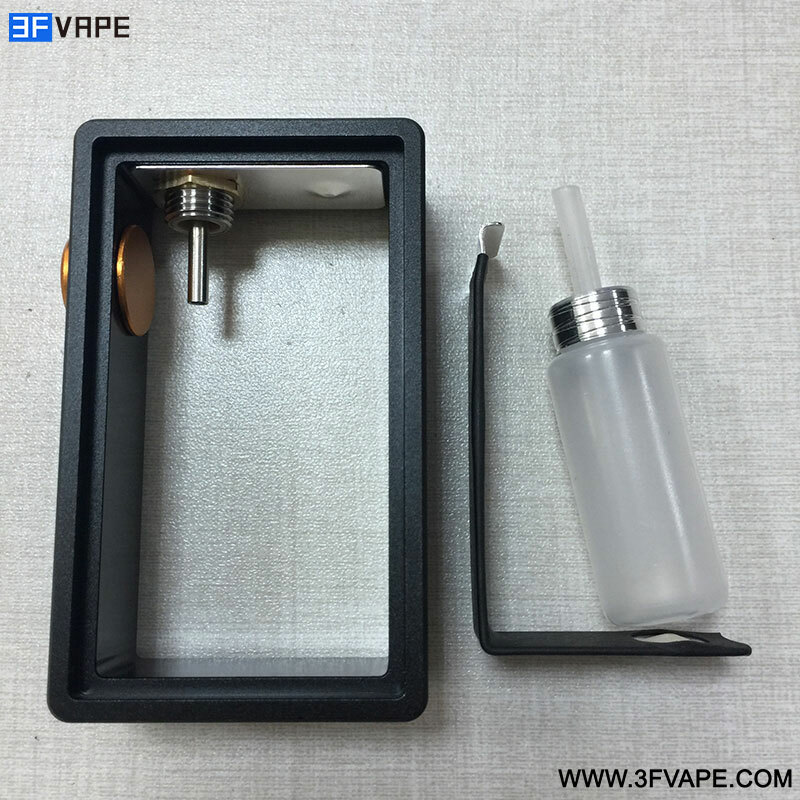 Let’s check out more details on the mod. Icarus style mechanical mod comes with a classic look．The frame is black and the two covers are orange, two colors match each other perfectly. 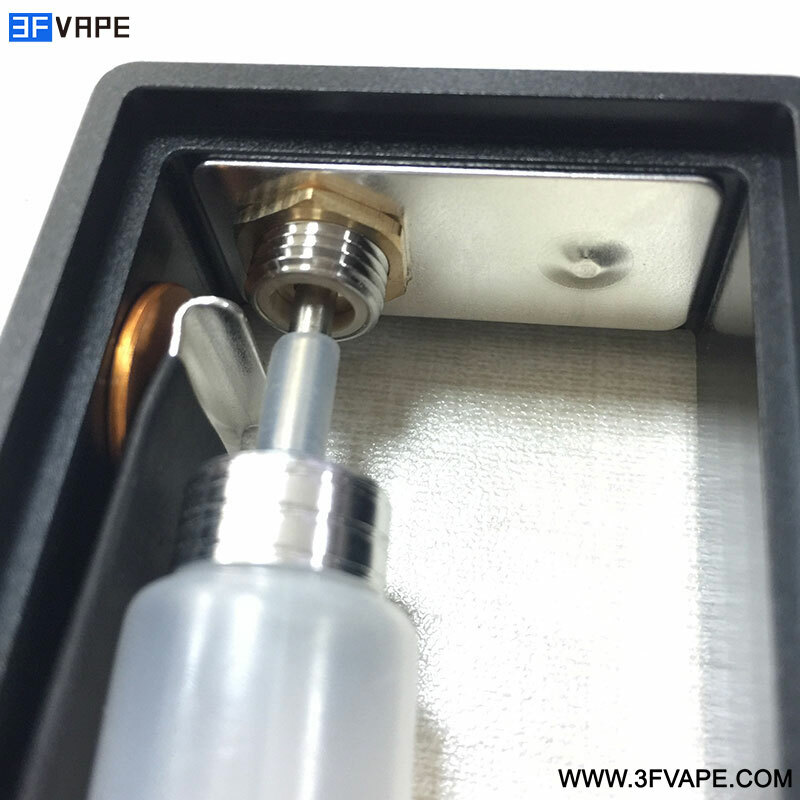 There is a vent hole for vapers to see the bottle, so it is convenient to know when you should refill e-juice. 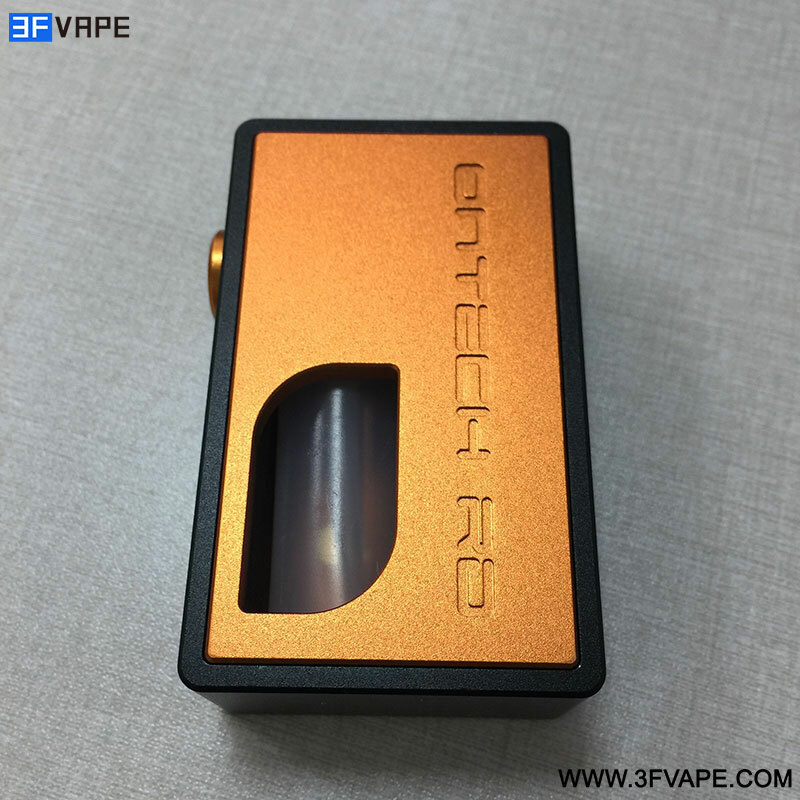 Grab the mod and feel the texture of the metal body. It is really smooth and I can’t help caressing it when it is in my hand. The 510 connector is made from stainless steel, and it fits most atomizers in the market. 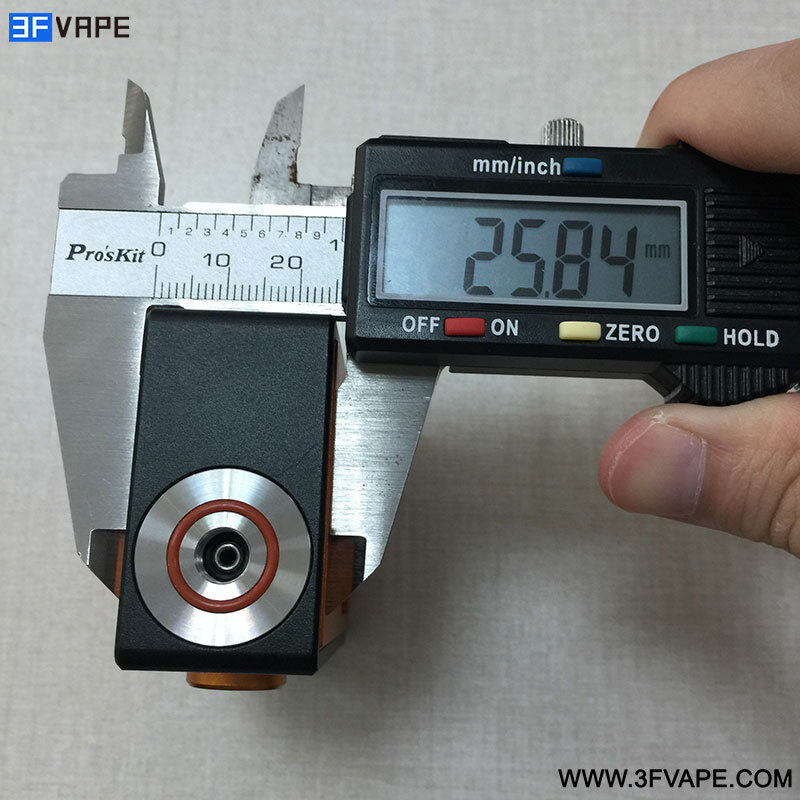 The mod weighs 147g, which is not so heavy as other mechanical mods. 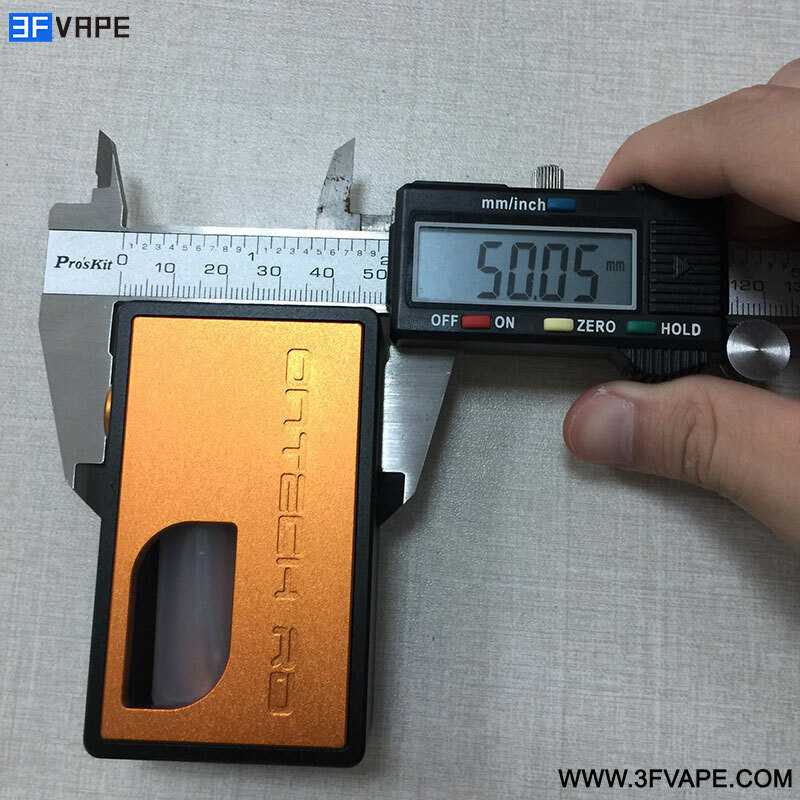 The dimensions of the mod are 50mm x 78mm x 26mm. It is mini, so you can grab it with one hand easily. There will be little sparks when the contacts are attached as the contact surface is too small. Don’t worry! It is normal and safe as the insulated material will protect you. Sparks are not a bad thing cause it means the current is running very well and strong. If you are interested in the Icarus Style Mechanical Mod, you can check it out from the following links. Thank you for reading this review. We will keep bringing the hottest product in next review. Cheers!